We Are All Martha: Alison Wright On How Her 'Americans' Character Became A Hit Wright plays an FBI secretary who falls in love with an undercover Russian spy. 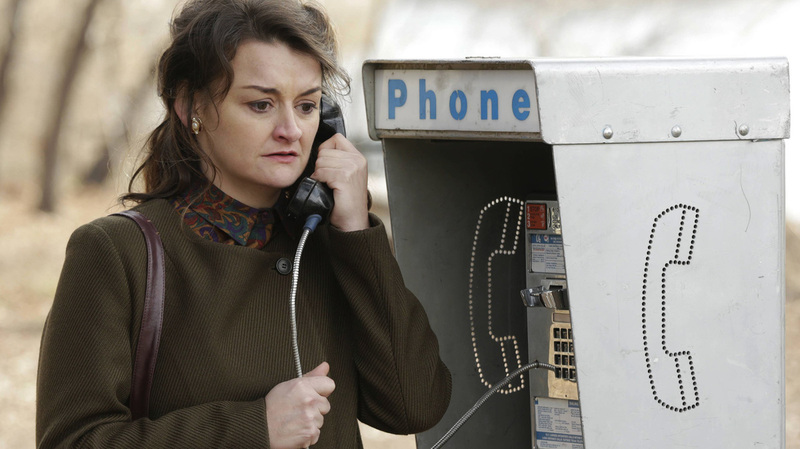 She says Martha is "who we would all most likely be" if we found ourselves in the world of The Americans. Wright describes Martha, her Americans character, as an "average, everyday person that's open and trusting and loving." Wright created a sensation with her performance on The Americans. She's also in FX's Feud, about the rivalry between actresses Joan Crawford and Bette Davis, and she's making her Broadway debut in Lynn Nottage's Sweat, about the deindustrialization of a working-class town. Wright notes that her recent roles have all been remarkably timely. "I've just been lucky enough to get on all these projects that are female-centric or about the working-class American people and about the Russians, too. ... Everything that I'm involved in at the moment feels extraordinarily on point. I really like that she's the everyday woman. She's who we would all most likely be in this situation if we were dropped into the real life world/story of The Americans, you know. She's the human, average, everyday person that's open and trusting and loving and hasn't really been jaded and isn't cynical and, up until this point, I think hadn't really been burned in life too badly. It's very touching that I think we've succeeded in affecting people and creating sympathy and empathy in the viewers [where] maybe in the beginning they really didn't have that much. You know, when we first started out in season one, I remember seeing or hearing comments about ... you know, the typical let's blame the woman: How could she be so stupid? How could she not realize? She didn't figure out this, this and this. You know, that's very much akin to, you know: What was she wearing? How short was her skirt? Was she really asking for it? Did she deserve it? It's a similar sort of blatant, underlying sexism that we have and a little bit of misogyny that we just have in our culture and across cultures. So there was a little bit of that at the beginning, and it's been tremendous to see that wiped out, to see that replaced with understanding and empathy and sympathy and heartbreak, really, for this woman. So to change people's minds and to let them into a life that they maybe wouldn't have understood themselves initially is, I think, a massive achievement. 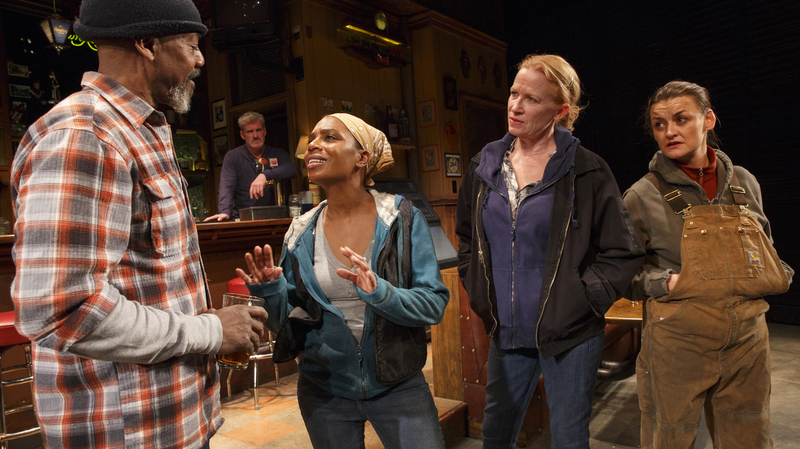 Lynn Nottage went to Reading, Pa., and conducted a lot of interviews with teachers, teenagers, parole officers, across the board. And eventually she created the play Sweat. She set it in 2000 and 2008, and really it's about deindustrialization in America and the working-class people who put decades of their lives working in these plants, these American institutions that weren't supposed to go anywhere — where their parents worked and their grandparents worked, generations of families, loyalty and dedication to companies that all of a sudden disappeared and went overseas and took the jobs elsewhere. And whole cities were decapitated, really, in a sense, because their life source was cut off. When everybody in a place works in these factories, you know, what happens when they all go? What happens to these people? It may well be the performance of Carol Burnett as Miss Hannigan in [the film] Annie. It may well all come down to that. ... She's untouchable. She's a phenomenal comedian and that performance is beyond perfect, in my opinion. And I think I wanted to be Miss Hannigan. I also wanted to be one of the orphans. I was also adopted myself, so there [were] lots of things tied in there in that story. But I definitely wanted to be Miss Hannigan in those silk drawers and drunk on gin most days long. There is no doubt in my mind that I would not be sitting here today had I not been adopted. I would not have the career that I have, be in this country, be sitting here at NPR. No way. So if that's not a miracle, I don't know what is. You know, it all turned out to be a very positive experience for me. It did come full circle for me. I did make contact with many members of my birth family and we have a great relationship now. It was something that was always a dark cloud hanging over me my whole life and it turned out that it didn't need to be. I did come to get the closure and learn that it was indeed a miracle in my situation. So it was a very positive thing. Producer James Delahoussaye, digital producer Nicole Cohen and editor Martha Wexler contributed to this report.